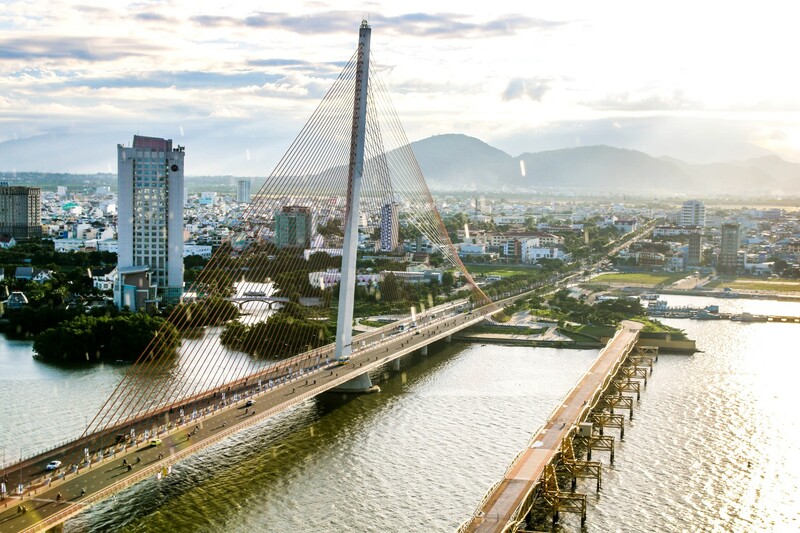 Located in Da Nang, the city of famous bridges and the romantic Han river, Fivitel hotel, which lies next to Tran Thi Ly Bridge leaning on the romantic Han river, promises to bring you a journey to peace and romance. 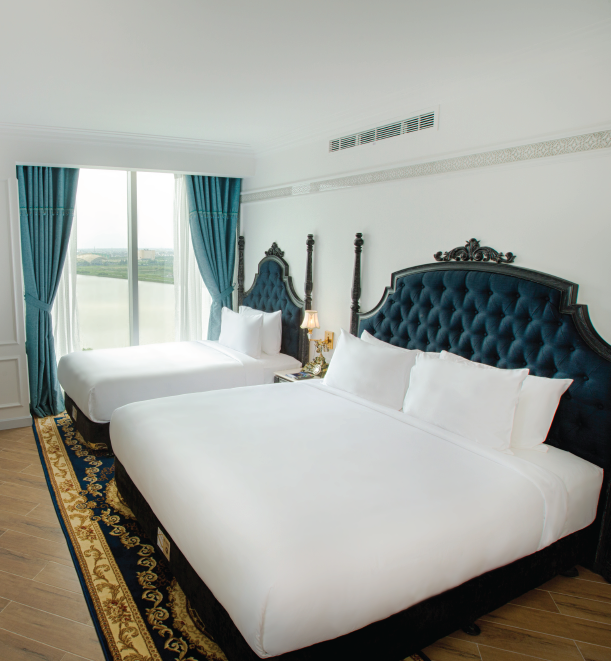 Designed in a European-Asian style, Fivitel will be a highlight that adds charm to the beautiful Han River. 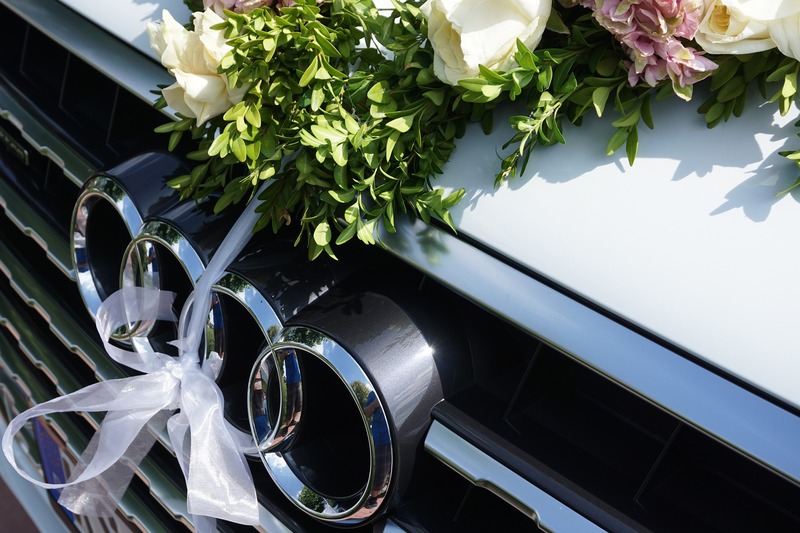 With modern gold-plated copper fittings as well as professional and enthusiastic staff, we commit to provide you the best experience and the best service beyond expectation. 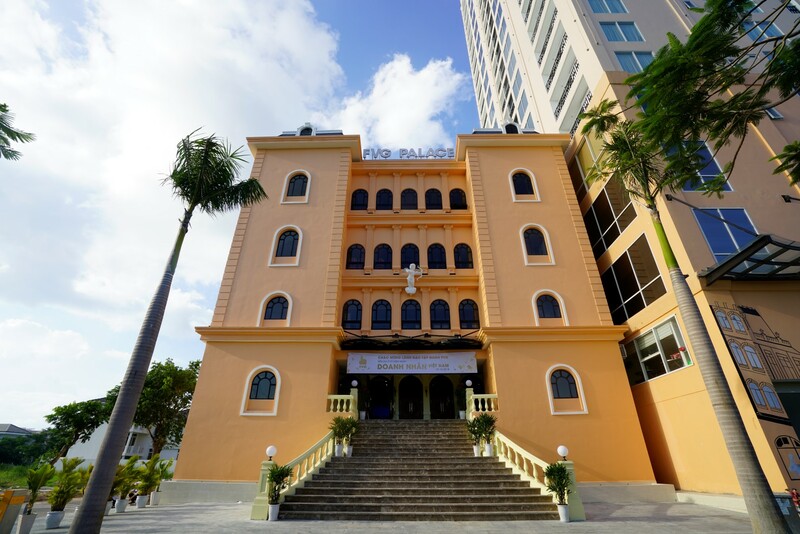 The hotel offers 157 convenient and luxurious rooms with balcony, which all have direct views to the rivers with well-known bridges and to the whole city. Pastel-colored carpets and monolithic wooden beds with delicate decoration will bring you a deep sleep and pleasant dreams. From the first step into this room, the subtle combination of warm and cool colors of the room will give you surprise and pleasure. Besides, from windows and balconies, you can see the slightly bending Han river and the whole city lighting up at night. Superior room is the perfect choice for a vacation with family and friends or business trip with colleagues at the lowest price. With an area of 32 square meters located on the high floors of the hotel, Deluxe rooms are decorated by European-style bed and modern facilities. Staying in these rooms, you can enjoy the feeling of pleasure and peace while sipping a cup of coffee and admiring the city’s beauty. 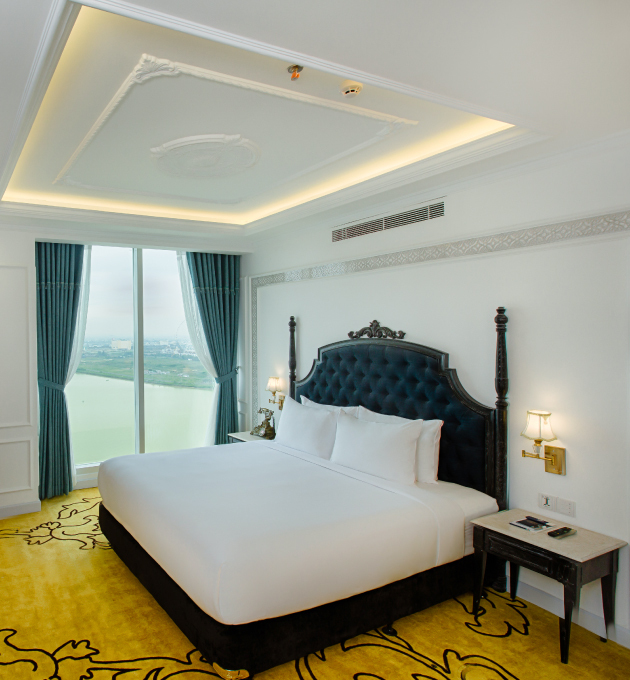 Deluxe rooms are such a meaningful gift for your journey to this worth-living city. + For 02 adults and 01 child under 06 years old. 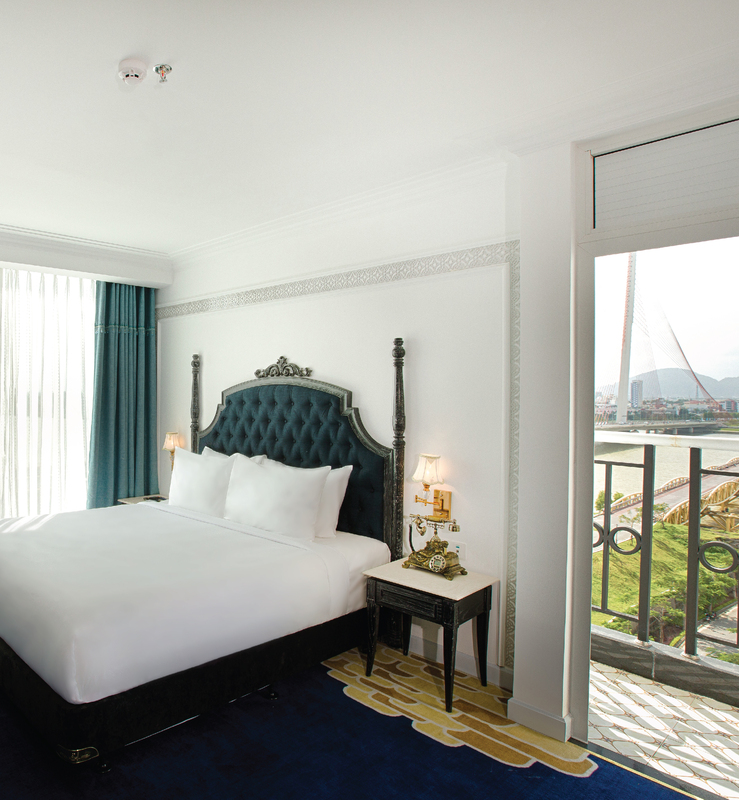 The luxurious Fivitel Suite is beautified with soft velvet carpet, a relaxing bathtub and a balcony with direct river view. Located on the highest floors, Fivitel Suite gives you the feeling of floating in the air and between the river and the mountain. As known as a paradise for a true vacation, this type of room is specially offered to guests who want to enjoy a quiet and romatic life to comtemparily forget about the hustle and bustle of life and get closer to the nature. 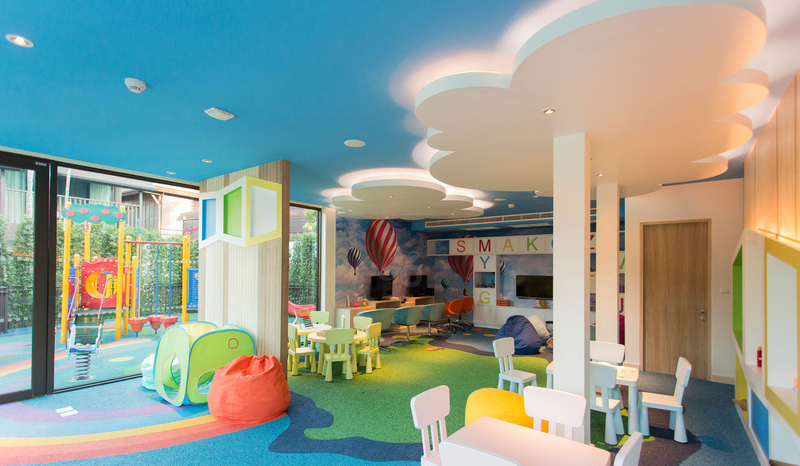 With an area of 38 square meters, Family room provides a large space including 01 twin bed and 01 single bed. Having modern facilities organized in harmony, Family room would be the second cozy home for your family. Classy President room is 90 square meters in area, and divided into separate areas including bedroom, conference room, guest room and kitchen. 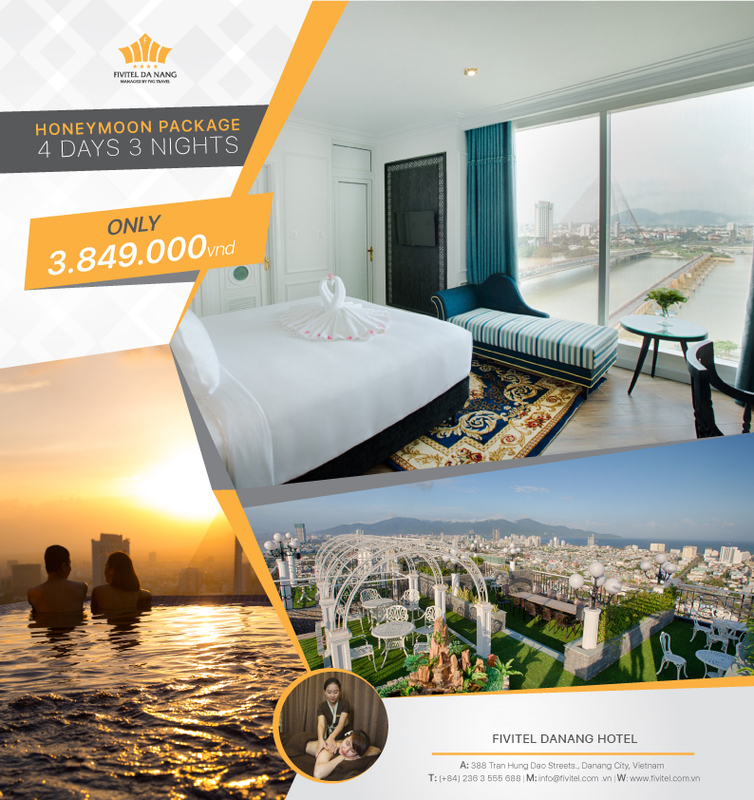 This room has modern and deluxe facilities, all rooms carpeted, view of city, Han river and Son Tra peninsula. 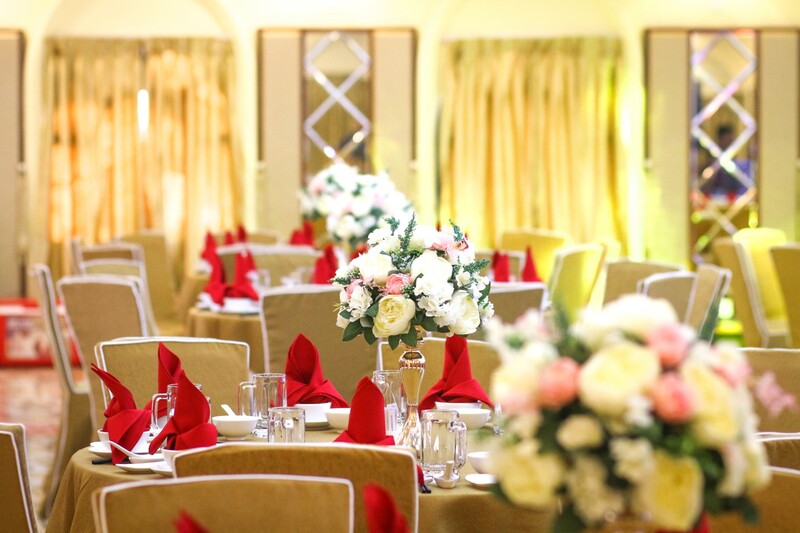 President room is absolutely an excellent choice for those who are looking for a lavish and unique experience. 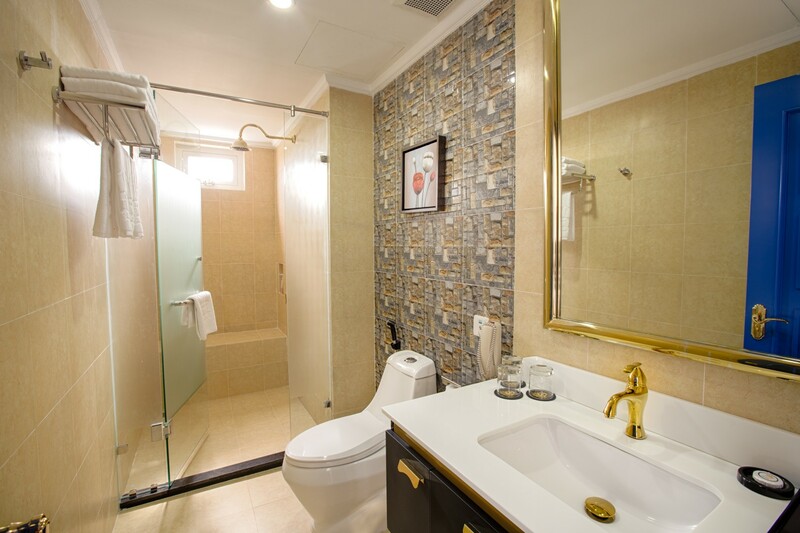 One-bedroom or two-bedroom apartment is specialized for families who enjoy privacy and close-kniting meals. With large space of separate bedroom and kitchen as well as airy view, the apartment would be home to sweet memory of your whole family. Special offer Fivitel gives you! We always care about what you need. 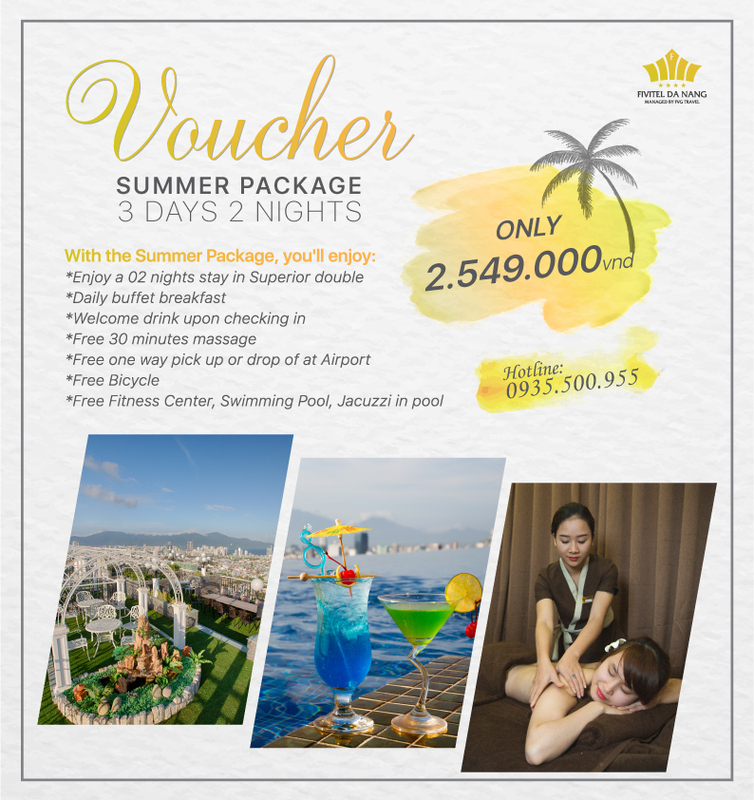 We have special offers to bring you a complete and happy vacation. Book now to get the Early book Promotion up to 15% discount and bonus 30’ Massage free for stay period 21th Sep until 31th Dec, 2018. 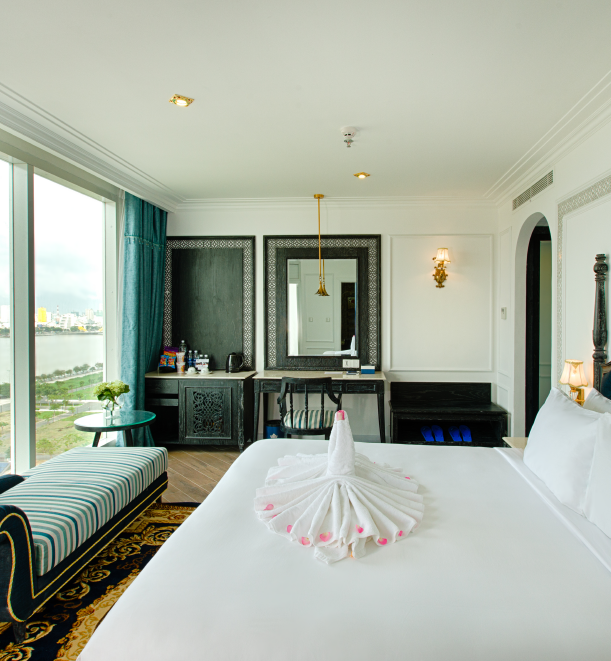 Enjoy a three nights stay in Superior double River view with romantic decoration. With the emphasis on service quality, Fivitel is not only an accommodation services provider but also a complex of entertainment services including a range of modern international-standard services. Chain of restaurants with familiar names such as Song Han restaurant, Cau Rong restaurant with separate Asian and European menu will take you to all over the world. 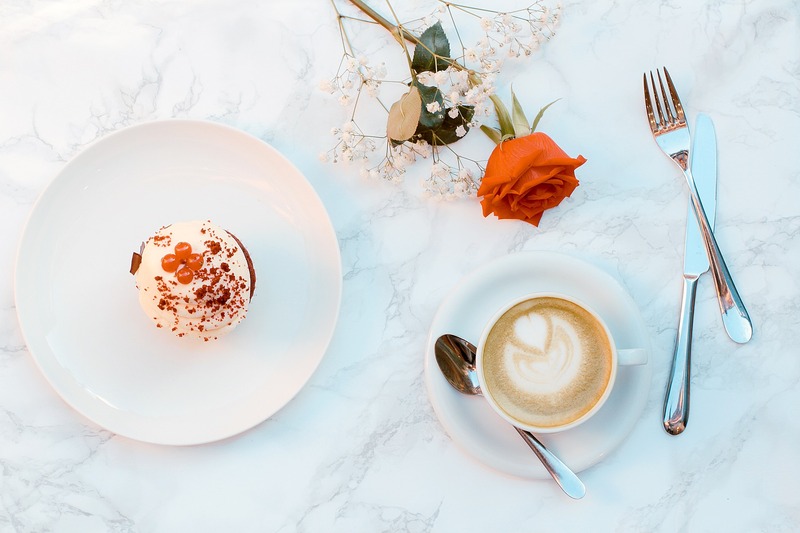 Chain of restaurants with familiar names such as Song Han restaurant, Cau Rong restaurant with separate Asian and European menu will take you to all over the world with a variety of dishes carrying bold favor of each region and being cooked by talented chefs. 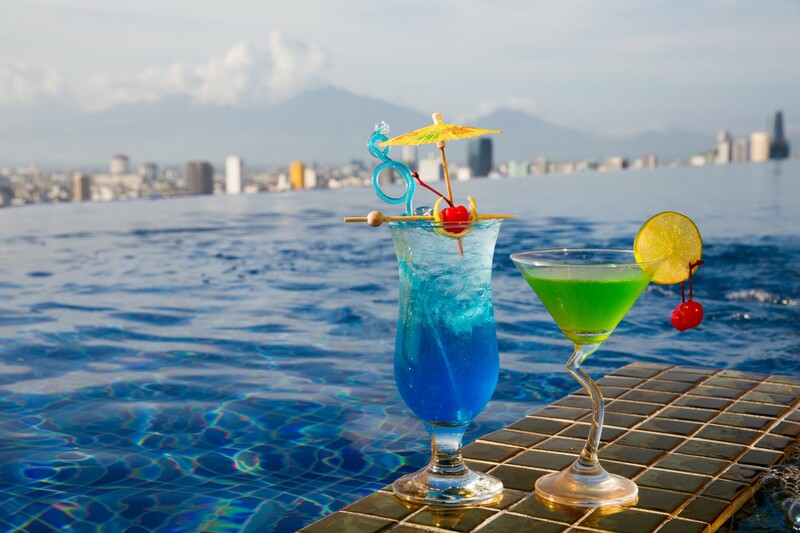 Babylon Garden restaurant is the first one to have the garden on the top floor in Da Nang with the capacity of more than 100 guests, which confidently will satisfy visitors in the romantic evening outdoor parties. Pool Bar 25 is decorated in a wild Western cowboy style in harmony with lively and energetic music will take you back to the land of American gentlemen riding horses in the 80s. 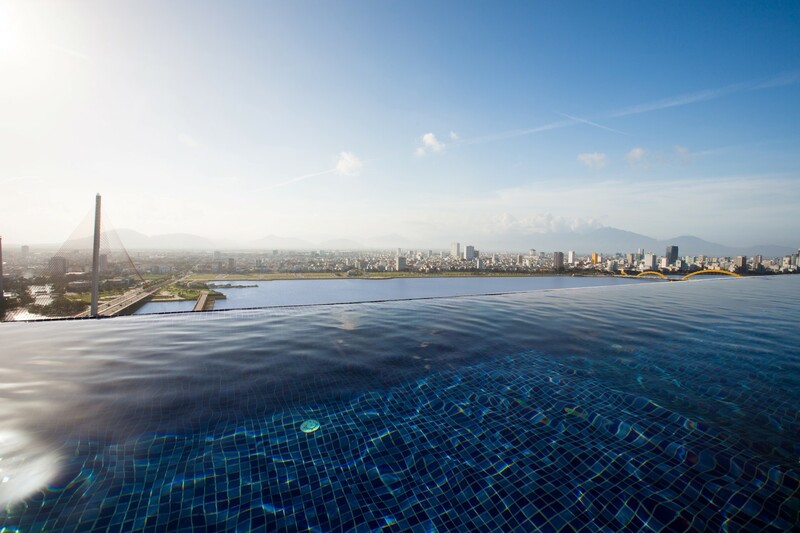 Fivitel Spa is located on the quiet and luxurious 24th floor. The cool and gentle space created from deep colors in harmony with fragrant aroma from natural oil will take away the noisy world and give room for the relaxing feeling. 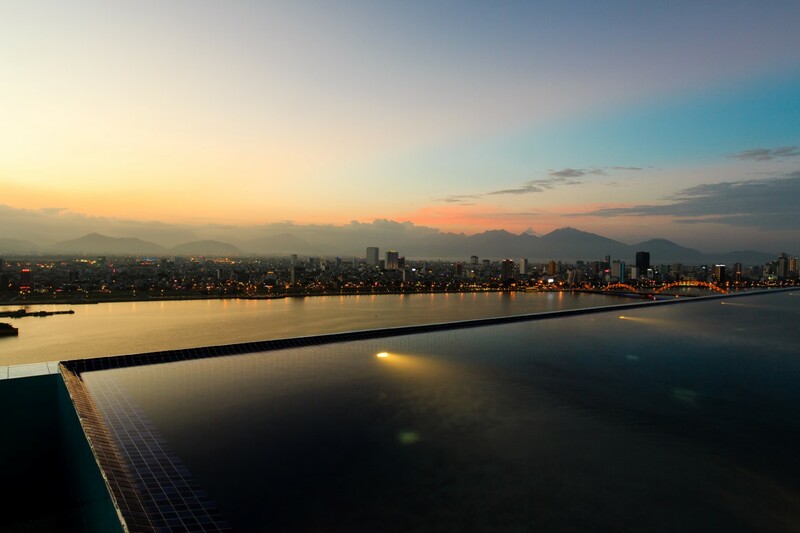 Fivitel Spa is located on the quiet and luxurious 24th floor. The cool and gentle space created from deep colors in harmony with fragrant aroma from natural oil will take away the noisy world and give room for the relaxing feeling. 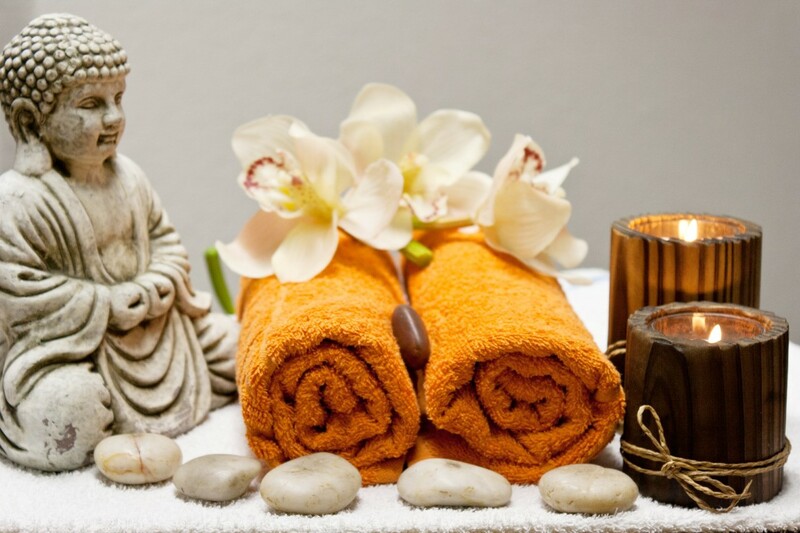 Besides, Fivi Spa offers a full range of saunas, steam baths, foot massage and full body massages. More noticeably, the Turkish sauna here is a hydrotherapy method which offers miraculous benefits both physically and mentally, dispelling stressful fatigue. 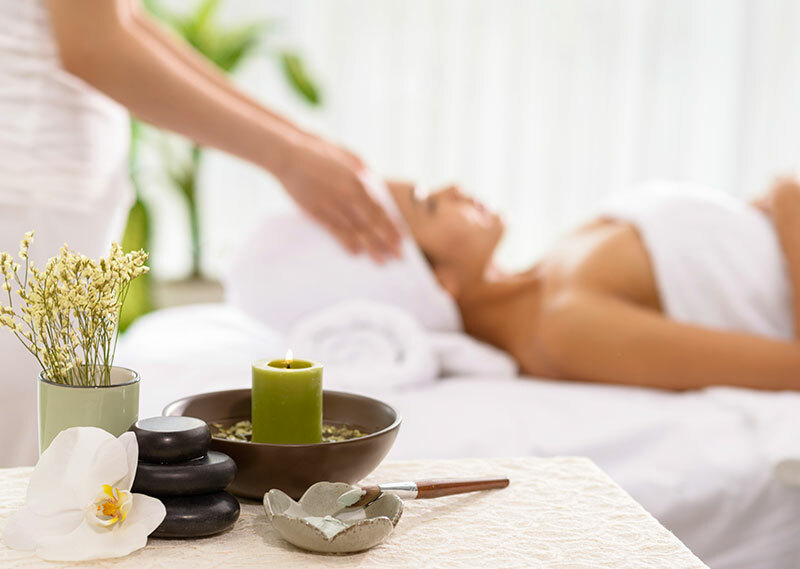 With experienced, well-trained and highly-skilled staff, we look forward to bringing you the most relaxing and enjoyable moments for your journey to find a pure soul and healthy body. 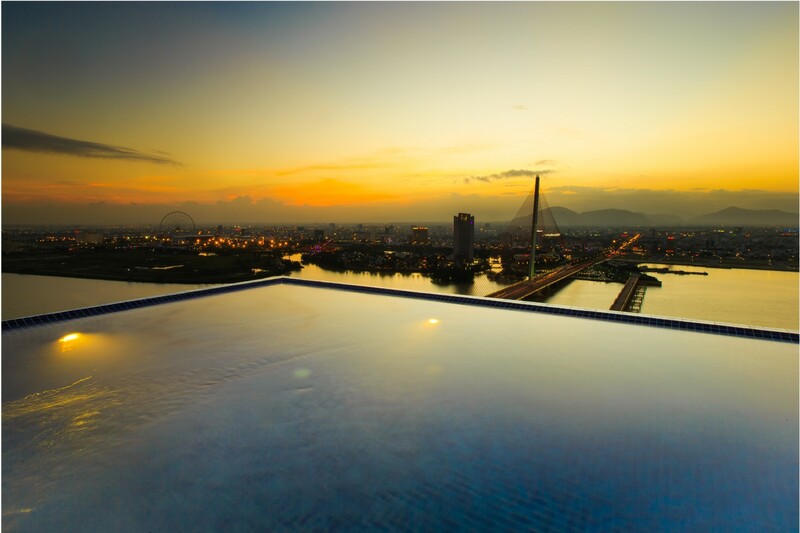 The infinity-edged blue swimming pool on the 25th floor in the middle of the windswept Han River will provide you a floating feeling while immersing yourself in cool water and enjoying a cocktail in the pool bar at the same time. 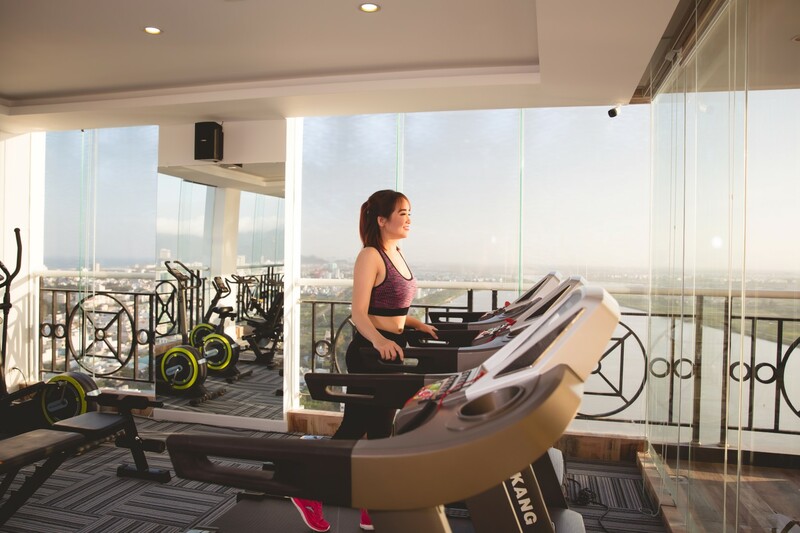 With modern equipment such as bicycles, weights, vibrators, running machines, you will feel totally satisfied with the appearance as well as relaxed when coming to the gym. 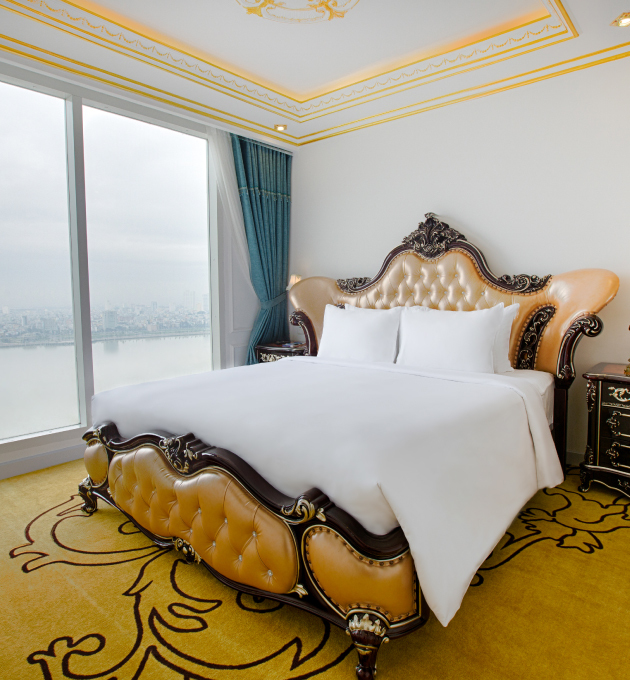 Lying beside the bank of Han river with charming and airy scenary, the park is a remarkable Fivitel hotel’s highlight which distinguishes Fivitel from other hotels. 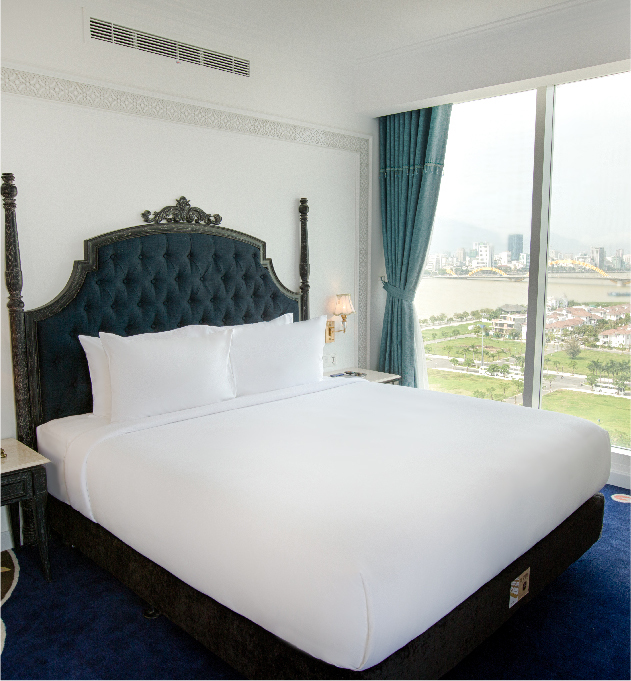 Lying beside the bank of Han river with charming and airy scenary, the park is a remarkable Fivitel hotel’s highlight which distinguishes Fivitel from other hotels. The children’s playground, located in the area of the park, is a natural-friendly and safe place for children to exploring the world. 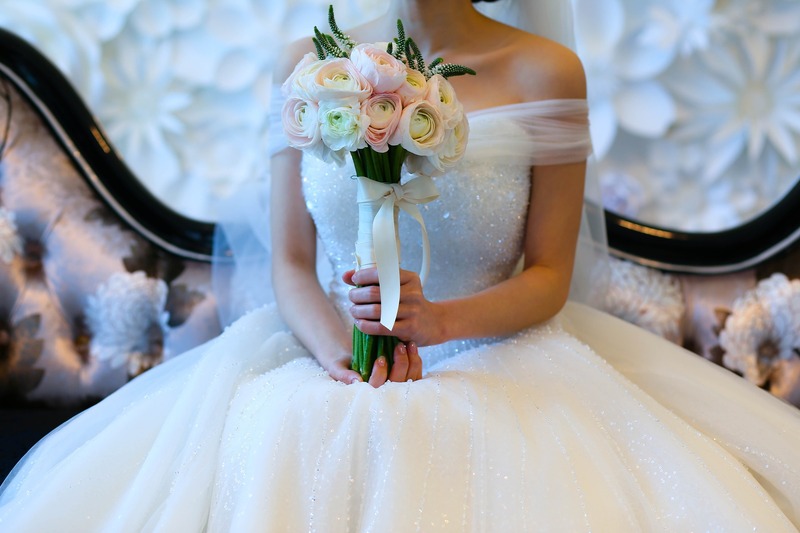 FVG PALACE Convention & Wedding Center under FIVITEL Hotel is well-invested and taken care of in every detail. 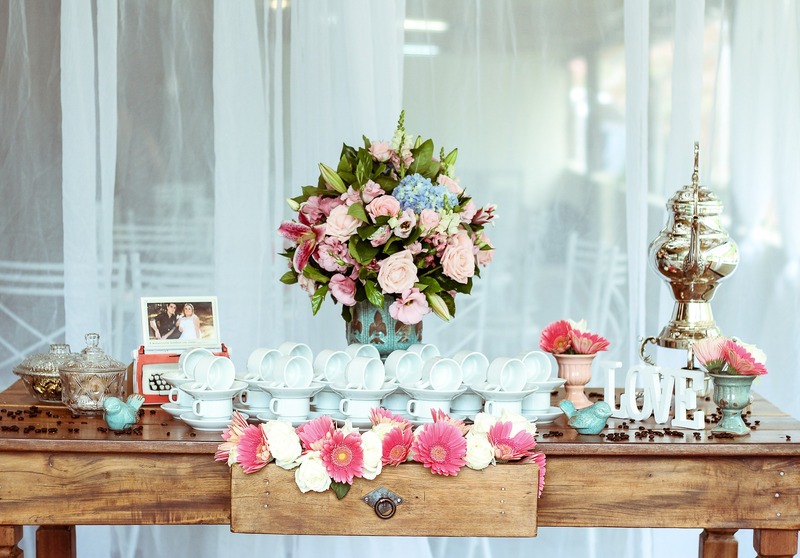 With years of experience in organizing events, the center ensures to provide customers with the highest value. Decorated in modern and elegant style, Fivitel’s convention rooms satisfy aesthetic and courtesy requirements of all the meetings taking place here. 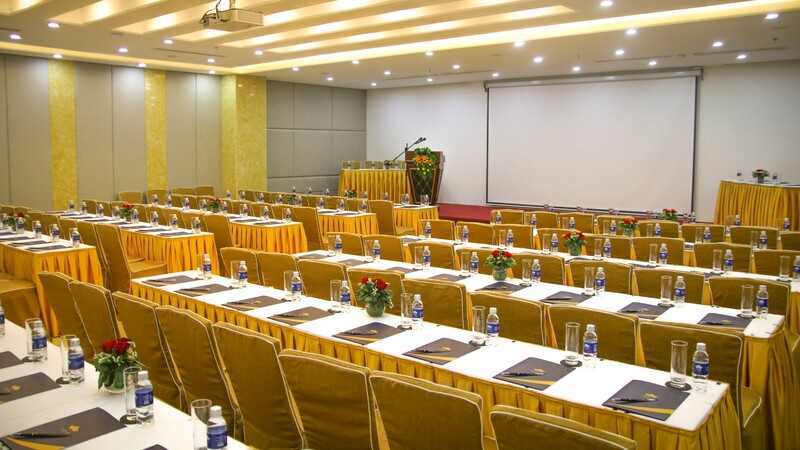 All convention rooms are fully equipped with state-of-the-art audiovisual equipment to meet all the most demanding requirements of high-level businesses.